Are your looking to buy a downlight without lamp for your interior? 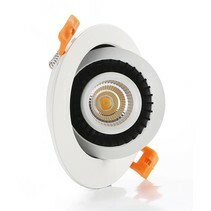 Look at this downlight recessed GU10 or GX53 grey for 2 spots 354x190mm to enlighten your house. 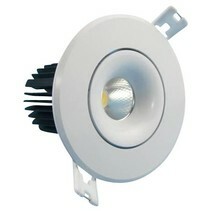 Are you interested to order this downlight recessed GU10 or GX53 grey for 2 spots 354x190mm? This downlight recessed GU10 or GX53 grey for 2 spots 354x190mm allows to install 2 spots of the type AR111. You can install as well a GU10 as a GX53 lamp. 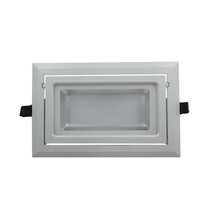 The dimensions of this downlight recessed GU10 or GX53 grey for 2 spots 354x190mm are : 354mm long, 190mm wide, 130mm high. The built-in depth is 90 (for GX53) or 130mm (for GU10). The colour is brushed aluminium with a black inner side. 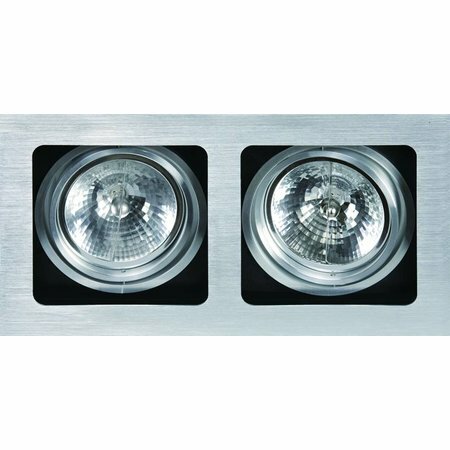 Depending on the lamp you use for this downlight recessed GU10 or GX53 grey for 2 spots 354x190mm, it functions on 12V (GX53) or 220V (GU10). The applications are legion : in the living room, the kitchen or at the office. Besides the nice design of this downlight recessed GU10 or GX53 grey for 2 spots 354x190mm, there are more reasons to buy it at My Planet LED. 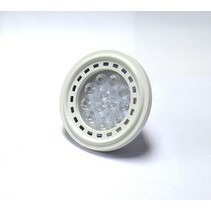 Aren't you sure if this downlight recessed GU10 or GX53 grey for 2 spots 354x190mm can be useful? No problem! You can use our 14 days return policy. This allows you to see if it is nice in your interior. And of course, My Planet LED has an excellent service. Do you have more questions? Do not hesitate to contact us by phone (+32) 57 466 866 or by mail (info@myplanetled.com) in order to obtain more information about this downlight recessed GU10 or GX53 grey for 2 spots 354x190mm.